Montreal pop provocateur Hélène Barbier; press photo courtesy of the artist. Montréal’s Hélène Barbier is an artist that is on the move. From work in the band Phern, Moss Lime & prolific solo output; Barbier makes music like installation art galleries for the ear. Hélène’s style is one that works out of fundamentals of primitive pop components, dabbling in dadaist styles of expressionism before moving into areas of pop impressionism that have become the trademarks & hallmarks of their oeuvre. Preparing to release the debut solo album Have You Met Elliott? available this spring, June 6, from Catherine Debard’s (of Ylang Ylang) new imprint Higher Records; Hélène Barbier’s latest song cycle brings to life creative pop art sketches that were realized, recorded and mixed at Montréal’s Bottle Garden studio (with an assist from Peter Woodford). Hélène’s music explores the areas of wonder & enlightenment that can be entertained throughout the process of experimentation that inspires & offers endless intrigue for the audience. Presenting the world premiere for the “Tidal Bore” video from Equivoc’ & a performance by Olivia F. Lathuillière—Hélène Barbier’s rhythmic-arithmetic pop is transformed into multidimensional exhibition of sound, vision & interpretive dance. With a name inspired by the dangerous flood tides that funnel into the shallow land of the shore, Barbier stair-step style approach of chord arrangements move with a shark-like focus like a rippling tidal wave making its way to land with the blessing of the earth’s alignment with the sun & moon. Olivia interprets motion in slow-tempo movements that see the artist bouncing on & off of a vintage couch with break-dancing style moves. The visceral choreography of Lathuillière accentuates the pensive aspects & sporadic actions of the clever artistic equations that comprise “Tidal Bore”, where perpetual bounce-dancing motions & the whipping of hair resembles the wild waves of the song’s namesake. 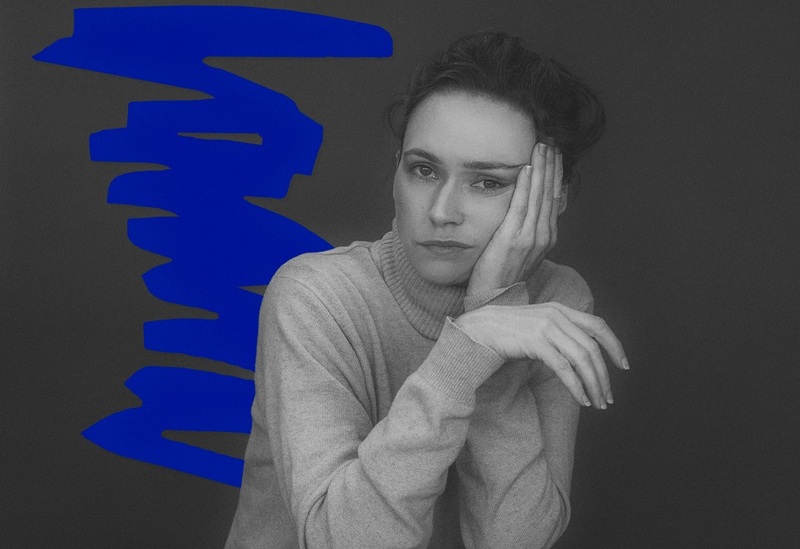 Olivia F. Lathuillière acts out the illustrious array of moods & ambient emotions through maneuvers where the choreographer becomes the natural force of an unrelenting tide, expressing a multitude of feelings through interpretive & inspired motions. Hélène Barbier’s tidal ode through the dimensions of Lathuillière’s modern dance rises upward magnificently with the strength & height of a skyscraper-sized wave. Cover art for Hélène Barbier’s Have You Met Elliott? by Gart Darley. Describe for us more about the making of your upcoming album Have You Met Elliott? that you have been working on. This upcoming album is mostly a collection of solo winter jams. There were some of the songs that I liked better or felt like it would be nice to re-record them properly with adds up from friends. So I went to the Bottle Garden to record some of them. However, I really like the cliché that says a song is just a stamp of a moment, that’s why I do not like spending too much time on a song, or coming back on it too much. Catherine from Ylang Ylang is starting a new label called Higher Records and she proposed me to release it, I am taking my time to finish it but it will be ready this spring, probably May 21! In what ways has your work in Moss Lime informed your solo work & in what ways for you creatively do you find the two creative outlets different? Moss Lime was the first band I ever played in, I randomly picked the bass, and it’s been definitely very formative. The process was very democratic, each member would somehow participate equally in the making of a song, or if one of us came up with something we would usually share the words to sing. With my other band Phern, it is different, most of the time Ben Lalonde and I work together on the structure of a song by email, even though we’re neighbors. I send him a bass line and he sends back the guitar parts, then I sing, and Christian Simmons records the drums later. So there is always a gap between what I imagine for the song at the start and the result, but at least we share responsibilities and I almost only have good surprises. With my solo thing, if I end up thinking the songs are bad someday, it will be all my fault! that would become the single “Tidal Bore”. About the title “Tidal Bore”—I would just say that it is a drawer song that sums up my last six or seven months. Since then I have been watching a lot of videos of tidal bore on the YouTube, so it might also just be about that: Water. Concerning the stripped-down rhythms, Christian Simmons is responsible, we also play together in Phern. He also has a band with his partner Anne-Lise Griffon, Couleur Dessin. I do not remember what I asked him to do, I am pretty sure he came up with this the first time we jammed on these songs. He had not played the drums since he became a dad last September to a little beautiful baby named Elliot, so it was very fun to play with him again after several months. Matt Robidoux is playing the melodic guitar part on this one also, he has played in Curse Purse and Speedy Ortiz but he’s currently focusing on his solo music. Conversing with Hélène Barbier; press photo courtesy of the artist, at Théâtre Rialto. Tell us too about the visual/audio art installation video from Equivoc’, featuring a performance by Olivia F. Lathuillière with lighting provided by David Brien. Olivia runs Equivoc’, a physical theatre company based here in Montreal. She had rent a nice camera for a project of hers, and after I sent her a demo of the song she proposed me to make a video. How do you feel the visual provides further aesthetic dimensions to your song “Tidal Bore”? I had no expectations for the video and I just saw it when it was done. I really like the simplicity of the one sequence shot and how it does a lot with very limited means, how a single idea is explored all along the length of the song. I also feel that it encourages [you] to listen to the song. Olivia is very good at telling things without words, I feel like there is a sense of that in her choreography. Hanging out the station with Hélène Barbier; press photo courtesy of the artist. What currently do you find inspiring locally in Montréal? The fast-food scene, the poutine game is strong. The weather. Local & not so local artists & activists that have been inspiring you lately? I love drawing lists but I will limit myself! My all time Montreal favorite bands are still Freelove Fenner, Gashrat and Brave Radar, they’re not playing a lot though. The most inspiring live performances I’ve been lucky to attend so far this past few months were Wreckage with a Stick, The Pink Noise, Rivalled Envy (for Montreal bands). Mega Bog and Boy Harsher for out of town bands. A friend recently introduced me to the work of Terre Thaemlitz, a musician, record label manager and public speaker on the topics of identity politics, through this conference We are not Welcome Here. Her perspective on things really resonates with me, I have a lot to explore about her work now, so it is very exciting. What other creative projects have you been working on apart from your solo work? Spring, summer & autumn hopes & dreams? dad. It should come out somehow someday soon! The rest is secret, I don’t want to jinx it. Hélène Barbier’s upcoming album Have You Met Elliott? will be available June 6 from Higher Records.